Rebacked, this is a very uncommon pose of feared 19th century HOF slugger Ed Delehanty. A magical name in baseball history, his Old Judge cards are revered by collectors. The image of Delehanty standing and throwing a ball looks great. 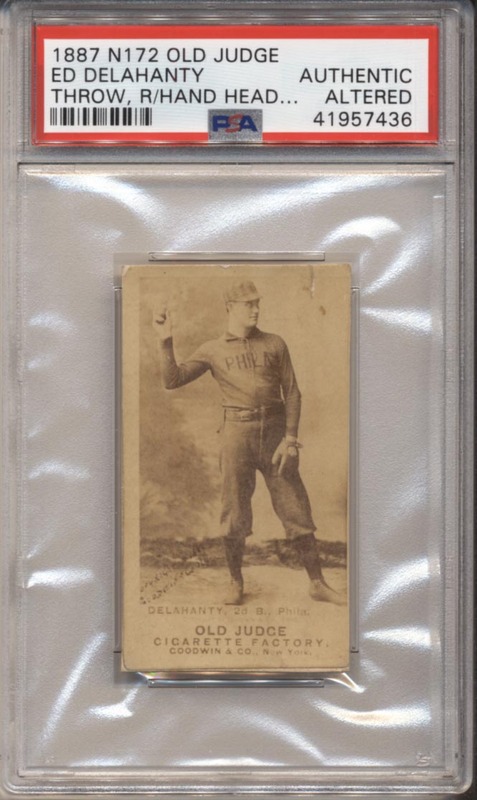 The offered card is perfect for someone who wants an Old Judge Delehanty and does not want to spend $4,000 plus or for a super advanced collector who needs this image.